Stunfisk in game: 6,303 Who? Important notice! Pokemon Stunfisk is a fictional character of humans. Stunfisk (Japanese: ???? 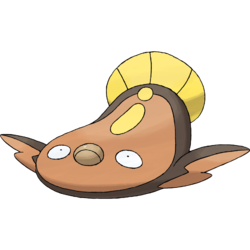 Maggyo) is a dual-type Ground/Electric Pokémon introduced in Generation V.
Stunfisk is a flat, fish-like Pokémon with a broad, mud-brown body. At the base of its yellow tail is a yellow marking shaped like an exclamation mark when seen from behind. 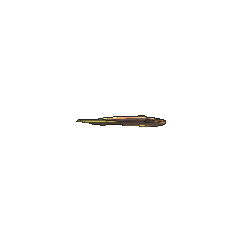 It has small, horizontal, oval-shaped eyes, white with a tiny black pupil and no irises. Almost exactly between these two eyes lies its mouth, which is comprised of two thick gray lips. It has two small, flimsy fins at the sides of its body; each with two lobes. It has been seen to leap into the air and flap its fins as if they're wings to remain airborne. Stunfisk's very tough skin keeps them unharmed if stepped on, even by sumo wrestlers. To exploit this, it buries itself in mud of the seashore and waits for prey to pass by. Whenever unsuspecting prey touch a Stunfisk's body, it is zapped. Stunfisk smiles when electrocuting its foes. If it cannot paralyze its foe, it contorts itself with unexpected speed and flops away. Stunfisk first made its debut in Facing Fear with Eyes Wide Open!, when its friend, Palpitoad, viewed Ash and his friends as intruders and called upon Stunfisk's help. It succeeded in driving them out of the lake, but was fished out and captured by Cilansoon after Palpitoad was defeated. 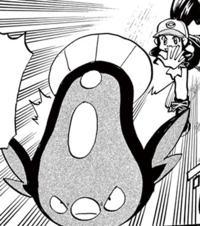 A Stunfisk made an appearance in the opening of Black—Victini and Reshiram. A Stunfisk appeared in the Ambrette Aquarium in Going for the Gold!. Two Stunfisk appeared in The Future Is Now, Thanks to Determination!. BW032 Stunfisk Ash's Pokédex Stunfisk, the Trap Pokémon. Stunfisk hides itself in the mud and then delivers an electric jolt when its prey touches it, smiling all the while. White caught a Stunfisk, which she named Dorothy, during her Battle Subway training. Multiple Stunfisk were among the Electric-type Pokémon that charges the Prism Tower during a blackout in Pangoro Poses a Problem. When its opponent can't be paralyzed, it contorts itself with unexpected speed and flops away. Moves marked with a superscript game abbreviation can only be bred onto Stunfisk in that game. He is Seismitoad's friend and is always late for appointments. Even when he arrives early, he hides and surprises his friends, so he is not very popular. 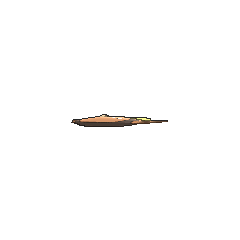 For other sprites and images, please see Stunfisk images on the Bulbagarden Archives. 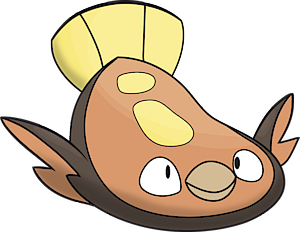 Stunfisk is the only Pokémon with a base stat total of 471. No other Pokémon has the same type combination as Stunfisk. Stunfisk was designed by Mana Ibe. Due to its type, Stunfisk's Limber Ability is redundant in Generation VI unless its type changes, such as via Camouflage, Reflect Type, or Soak. Stunfisk seems to be based on a flounder or dab combined with an electric ray. It may also be based on the stargazer, another fish that spends most of its time buried in the sea bottom and can make electric discharges when disturbed. Stunfisk may be a combination of stun and fisk (fish in most Northern European languages, from Old English fisk) or a combination of stun, fish, and disk (in reference to its flat shape). Maggyo may be a combination of ??? maddo (mud) and ? gyo (fish). It may also refer to ??? maguro (tuna). Korean ?? Medeo From ?? meodeu and ? (?) eo. May also involve ?? megi. Mandarin Chinese ??? / ??? Níbayú Literally "Mud fish"